One of the best things about New Orleans is that you have the best of both worlds. When you need an escape from city life, there are endless options for immersing yourself in a more natural setting. 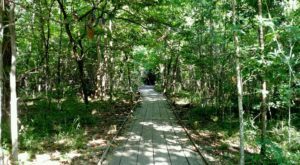 The next time you’re seeking an outdoor adventure, consider a road trip to one of these nature preserves near New Orleans. 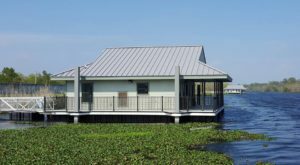 The Barataria Preserve is part of the Jean Lafitte National Historical Park and Preserve, and it’s perfect for all ages. 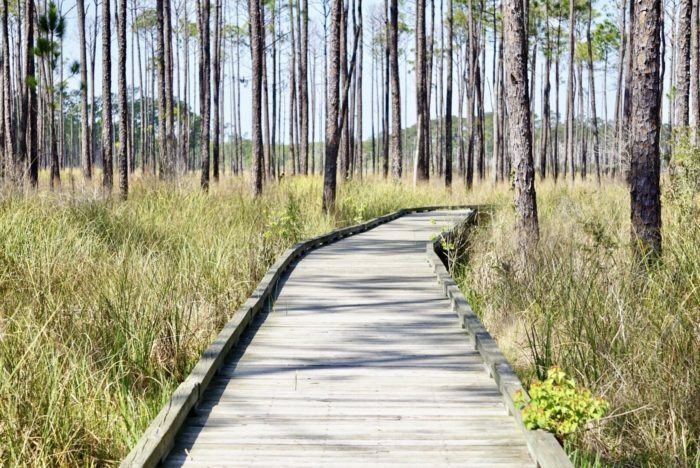 The preserve features 23,000 acres of bayous, swamps, forests, and marshes that you can walk through a labyrinth of boardwalk trails to see. 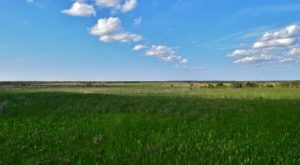 This incredible preserve is home to countless animals, so wildlife enthusiasts will certainly enjoy the trails. 6588 Barataria Blvd., Marrero, LA 70072. Established in 1994, Big Branch NWR features 15,000 acres of beautiful pine flatwoods and coastal marsh nestled up on the coastline of Lake Pontchartrain. The refuge is home to hundreds of species of birds including the bald eagle, and you’ll have the opportunity to catch a glimpse of this majestic bird as you stroll down the five miles of trails at Boy Scout Road. There is also an additional four miles of more primitive trails near Paquet Road and Sapsucker Road. 61389 LA-434, Lacombe, LA 70445. 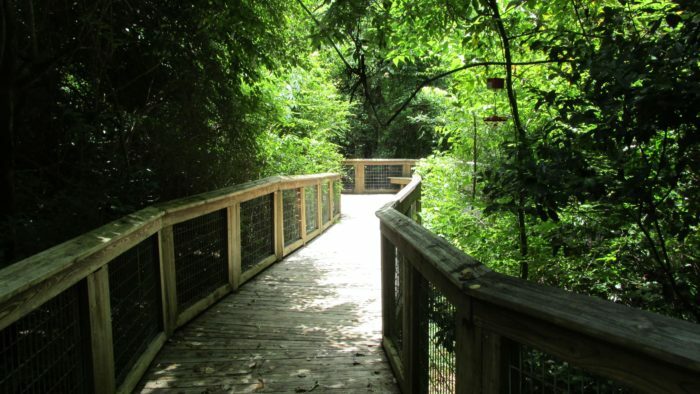 Just a short trip across the bridge and you’ll find yourself at the Northlake Nature Center, a delightful hidden gem you’re sure to love. 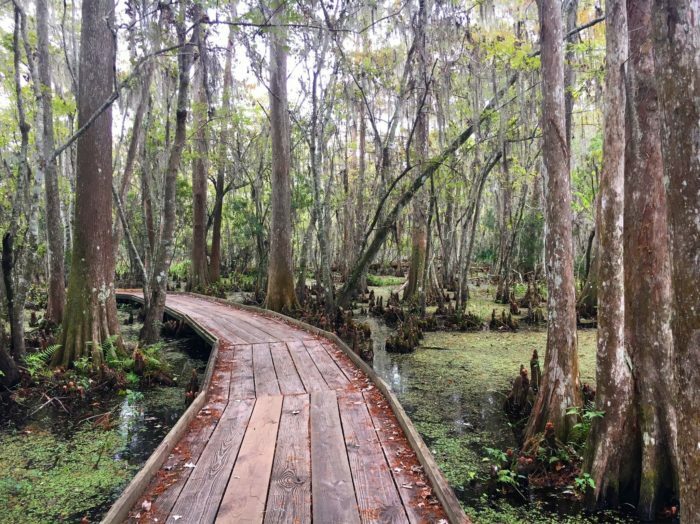 Tiny but mighty, the 400 acre center features some of the most scenic trails in the area, offering visitors a chance to experience three different ecosystems: a hardwood forest, a pine-hardwood forest, and a cypress swamp. 23135 Highway 190, Mandeville, LA 70448. 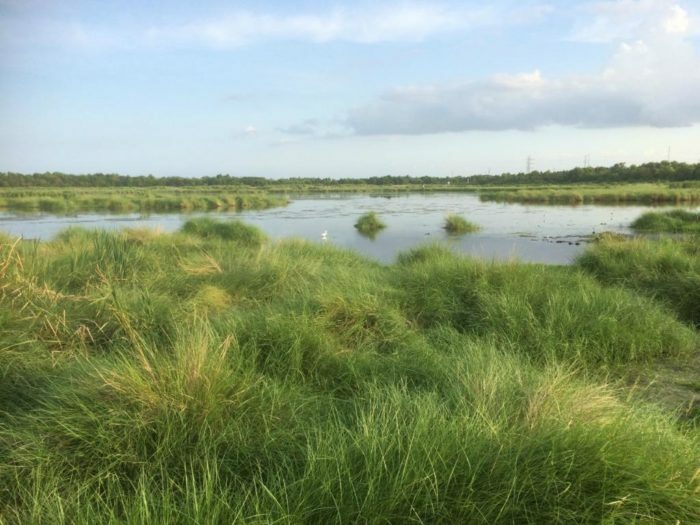 Comprised of 24,000 acres right in New Orleans’ backyard, Bayou Sauvage NWR is just the ticket for anyone looking to spend some time outdoors without traveling very far. Established in 1990, Bayou Sauvage NWR offers sweeping vista views of marshes and coastal hardwood forests. Since it’s within the city limits of New Orleans, it’s considered the nation’s largest urban national wildlife refuge. 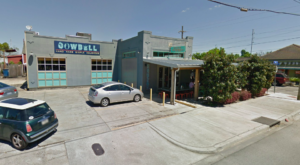 20876 Chef Menteur Hwy., New Orleans, LA 70129. It may be an hour away from the city, but the Bluebonnet Swamp Nature Center is certainly worth the pilgrimage. 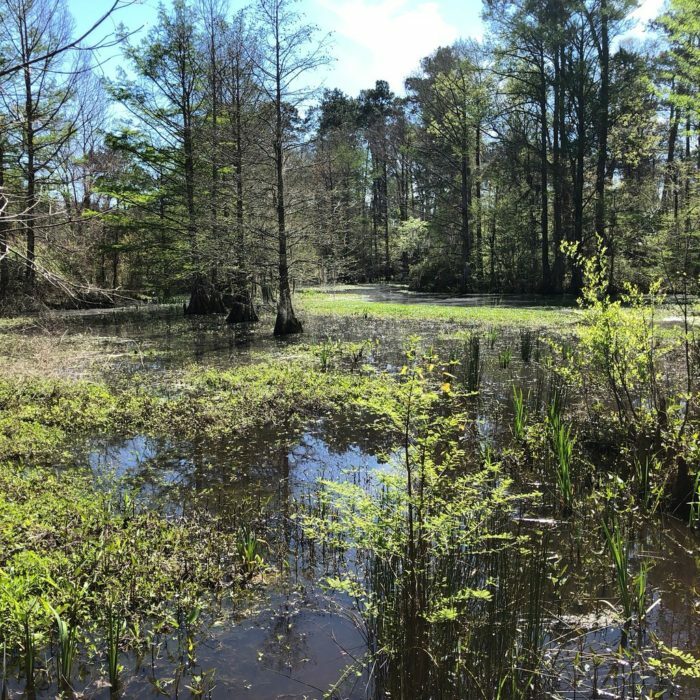 The 103 acre facility features over a mile of gravel and boardwalk trails that will lead you on an incredible journey through the cypress-tupelo swamps and hardwood forests. 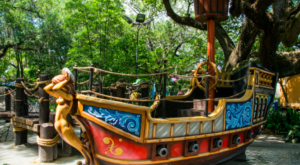 There’s also a 9500 square foot center filled with live animal exhibits natural artifact and mineral displays, and flora and fauna presentations, making this a great stop for families with kids of all ages. 10503 N Oak Hills Pkwy, Baton Rouge, Louisiana 70810. 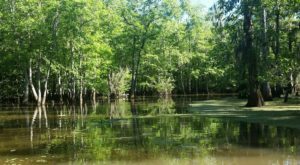 After you’ve explored these beautiful nature centers, check out our previous article on state parks near New Orleans where you can camp year round. Have you been to any of these nature preserves? Let us know in the comments below!